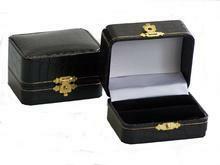 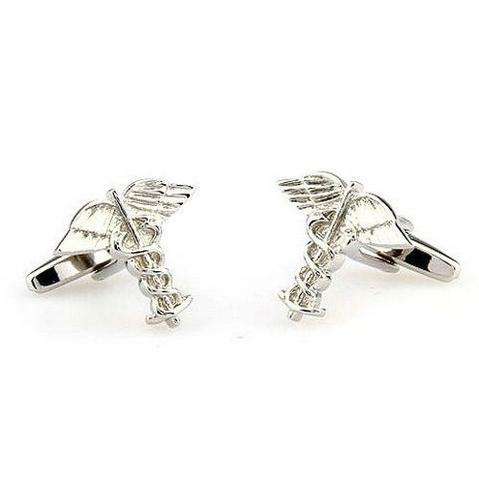 Medically stylized cufflinks like these are an appropriate jewellery for doctors or another medical workers. 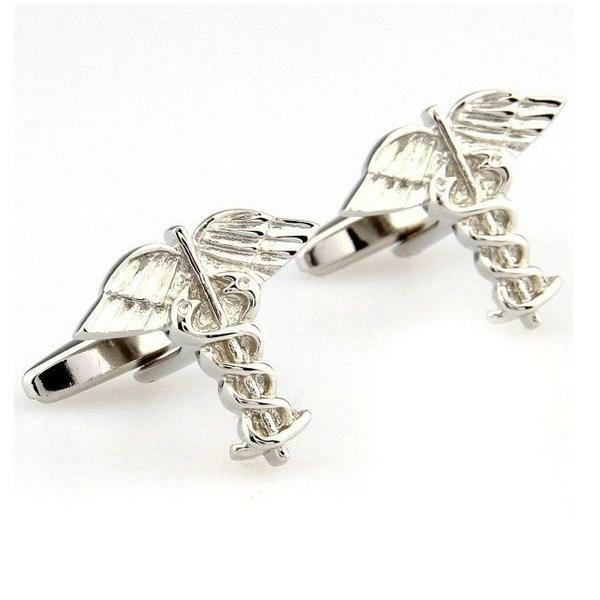 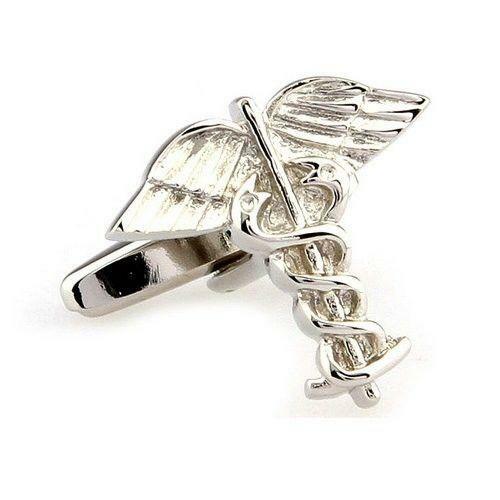 Cufflinks are in silver and the shape is well known as Rod of Asclepius. 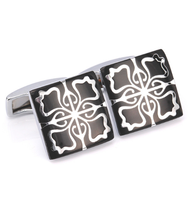 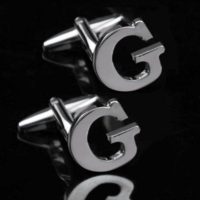 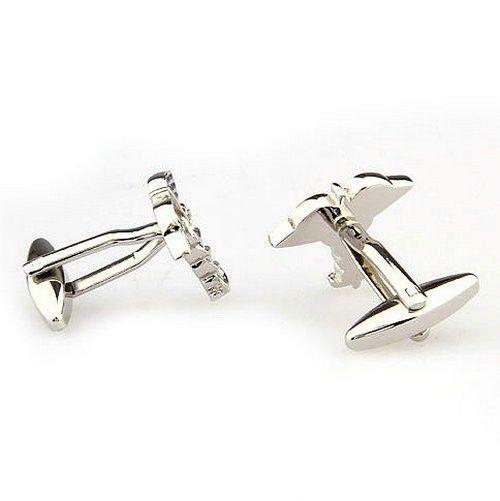 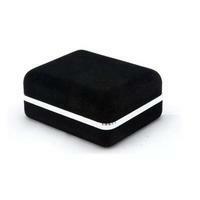 Cufflinks are an ideal present in opportunity of graduation ceremony, Christmas, birthday.